I was looking for some replacement parts for my mother’s rooster weather vane today. 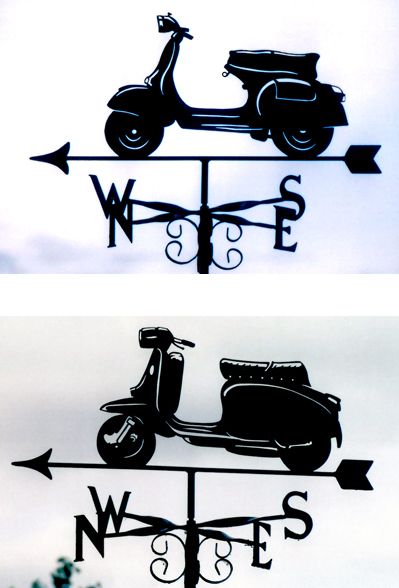 (New word I learned – the missing E for East is called a “Directional”) So when I started coming across motorcycle weather vanes of course I had to see if I could find scooter weather vanes. And Ta-Da! The good news – you can choose from Vespa or Lambretta. The bad news – they’re in England and they’re Â£175 a piece. This entry was posted in Decor by Tracy. Bookmark the permalink.